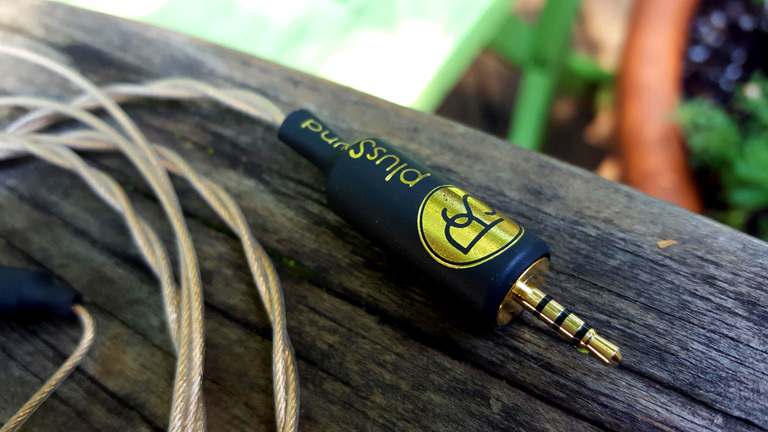 plusSound provided this cable free of charge for the purpose of this review, for good or ill. When I reviewed the X6 T-Metal, I expressed no small amount of frustration for the ergonomics. 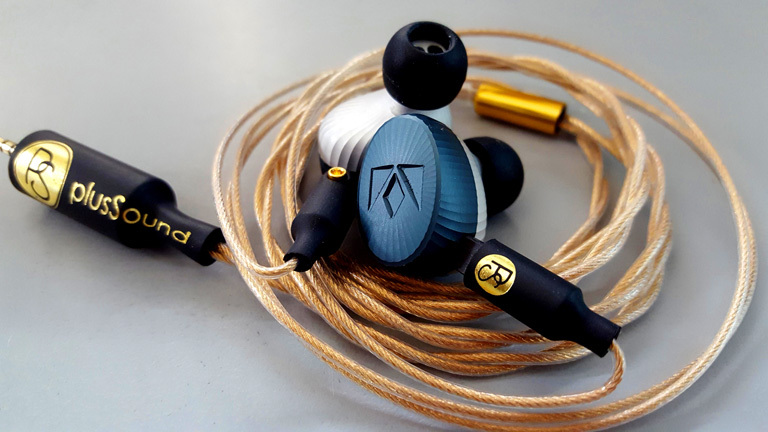 That cable made listening to universal fit IEMs a real chore. plusSound, like any good company, wanted a second shot at winning me over. 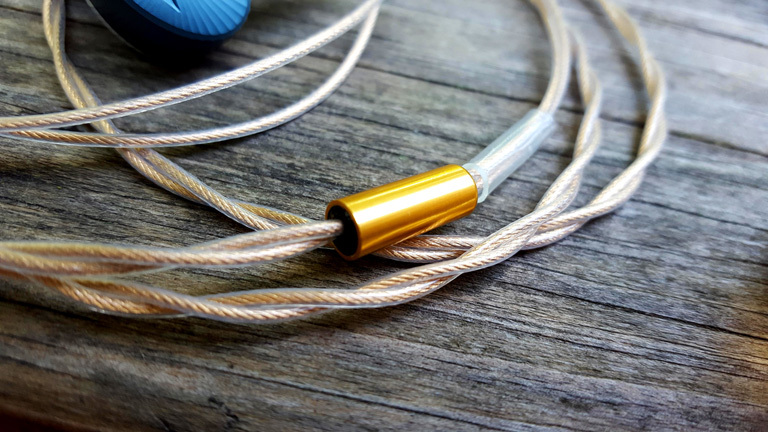 They realized I was a pedantic, ignorant f**ker, and sent the smallest, lightest cable they make: The two-conductor X-Series, utilizing their updated Gold-Plated Copper Litz. And my god it is light! And supple. I find, when you do away with memory wire or pre-formed heatshrink ear hooks, building a cable that doesn’t constantly flop over your ear is all about balance. Too light, and it won’t stay down. Too heavy, and… well, it’s too f**king heavy. Of course, doing a little kink after the connector helps a lot, which is what plusSound has done. The X-Series stays down, and drapes comfortably over your ear. So far I’ve not needed to use a lapel clip, which is unusual for me. Almost every cable needs one, for one reason or another. I’ve yet to put on a shirt that really interferes with the X-Series. Well done, plusSound! There’s a little springiness to it, but ultimately it behaves itself well. In ergonomics, it competes admirably with the new Linum Super BaX, though I’d still give Linum the win on that. plusSound’s X-Series GPC Litz has a slightly warmer tone. The bass is bigger, pounding harder. Probably due to a thicker gauge. The midrange gains weight and size. Treble sounds about the same to me. Odd. You’d imagine SPC Litz would sound different than GPC Litz, especially in the higher frequencies. And they might. But the change is very, very subtle and I have a hard time marking the alteration. You get the same amount of air in the presentation, and the soundstage dimensions are much the same. Except in height. The plusSound cable has a taller stage. I heard the height change in the X6 T-Metal, also, though even more extreme. There is no such thing as a neutral cable. All cables have their own resistance and f**k with the frequencies. Pairing a cable with the right transducer is how you find neutral, or more importantly, how you find the best sound to your specific taste. I identified two issues with the Noble Kaiser Encore that kept it from being “perfect” to my ears. Don’t get me wrong, I was always impressed by the new Kaiser. My review leaves little doubt on that matter. 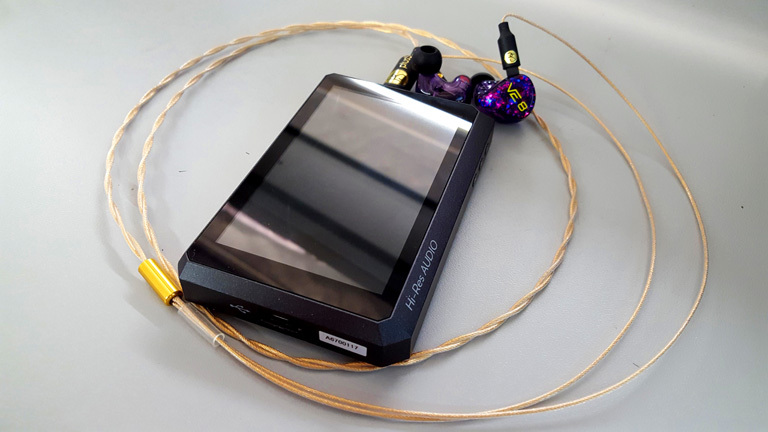 Yet I felt they lacked a little low-end power, and the mids could be too thin at times. The X-Series solves both these, without sacrificing clarity or transparency. Encore becomes fuller and more complete, elevating to a new realm of awesome. The bass has increased presence and great rumble and impact. The vocals are richer, with more meat on the bones. 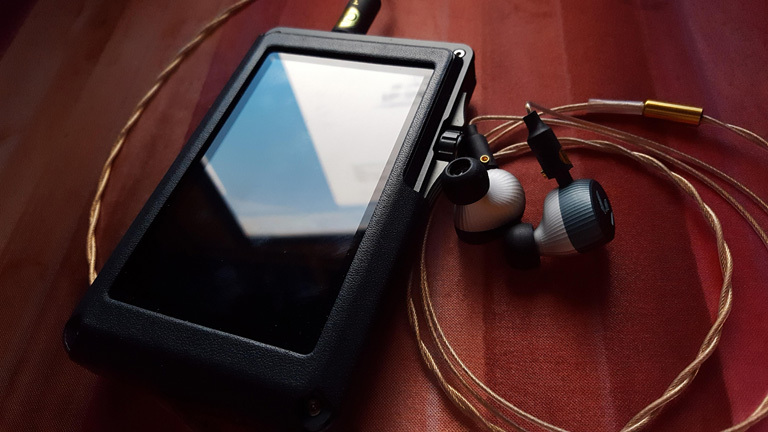 I now have nothing but love for this outstanding IEM, and plusSound did that. What a special, unexpected gift this pairing turned out to be. Vision Ears VE8 also needs this cable. On the standard SPC, it can sound a bit boring, with the vocals sort of small on the stage. The X-Series opens up the VE8, adding power and weight, and giving the vocals some size. 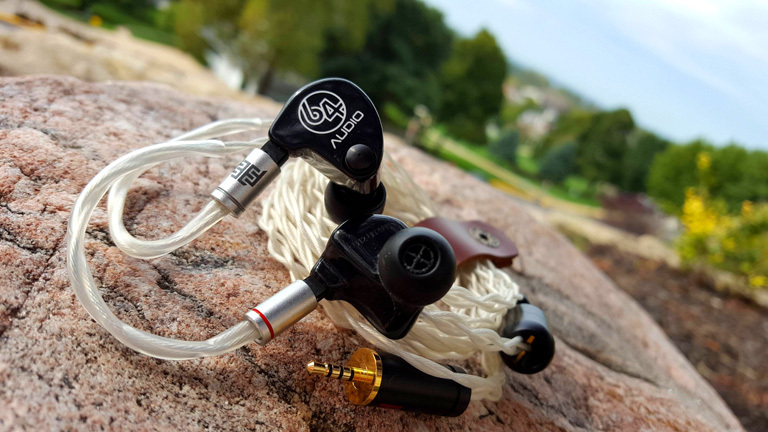 With this cable, these IEMs compete at the very top, with the best of them. Now again, no cable is neutral. 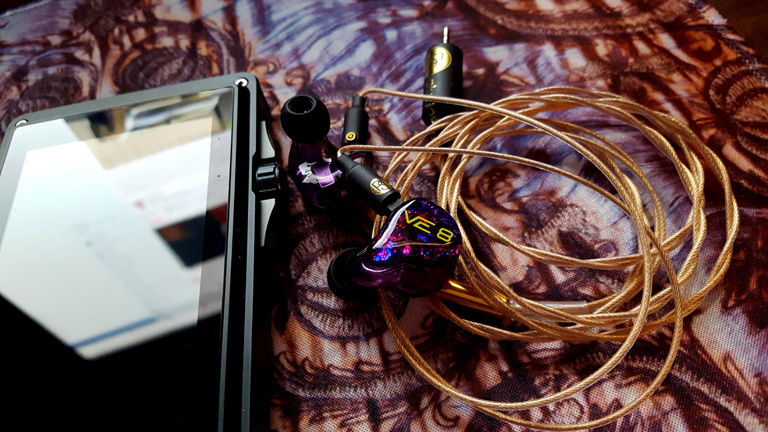 It’s all about what color you desire to pair with the headphone’s tuning. Because of that, no cable will suit all headphones perfectly. For instance, my cherished 64Audio U12 does not benefit from this particular conductor. At least not for my preference. 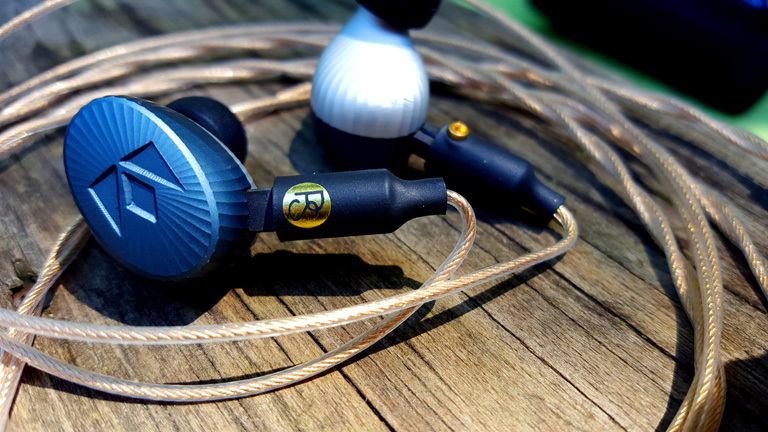 Being a tremendously warm, bassy, and lush IEM, the U12 is NEVER in need of extra lows, or thicker mids. The X-Series exemplifies the U12’s charms too far, and the music gets bloated and veiled. Hell, even the Pinky-Made SPC can be too much. In fact, there is only one cable I use for the U12, and that’s the ALO Reference8. The harmony in that marriage is my absolute favorite thing to listen to. Of all my gear, I retreat back to this combo more than anything else. On the other hand, the GPC-Litz>Encore is taking up a lot of ear-time. This pairing may be just as awesome as the Ref8>U12. Two setups which sound very different, yet possessed of a perfection beyond my endurance. I am enthralled by them. Each time I listen to one, I fall hopelessly under its spell, certain no greater quality will ever be produced… until I take them out of my ears and remember: this is the Audiophile game, and there is no end.